If you are looking for a course which will push your adrenalin buttons, one of our white water courses could be your ideal choice. As in all our courses at Tollymore our staff are trained to the highest professional levels and regard safety as being of the utmost importance. 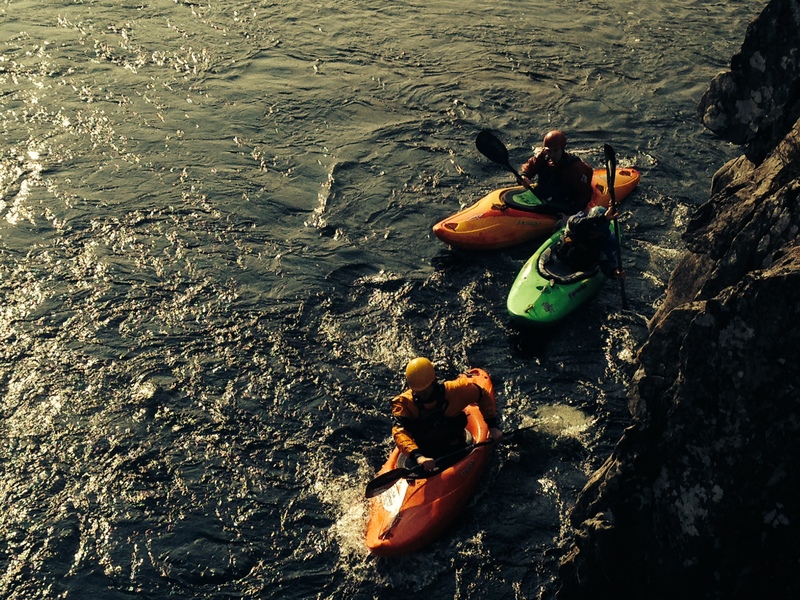 On your course staff will spend time with you as an individual and on a group basis improving and extending your skills so you can achieve maximum enjoyment from your white water paddling. After all, this is what it is all about! Careful attention will be paid to developing your skills correctly so you can build upon these skills and get the most out of the river – having to break bad habits is hard work and wastes valuable ‘play time’! Depending on the course you will be running rapids, breaking in and out, surfing waves and becoming experienced at avoiding hazards such as rocks and trees! These are all critical skills when journeying and having fun on the river. If you find that all too much you have the option to ‘portage those more challenging sections’ our philosophy is ‘participation by choice’. On all our paddling courses there is an emphasis on self and group safety and rescue skills so you will have an understanding of what to do if you or one of your group members end up in the water unexpectedly. We run paddling courses through out Ireland Scotland and the French Alps, giving us the flexibility to selecting the most suitable environment for your course. With our extensive fleet of kayaks we have a wide range of boats to suit all shapes, sizes and abilities. All our equipment is of the highest quality and its condition is checked at a regular basis to ensure its suitability.